Dennis Schroder continued to turn heads filling in for Russell Westbrook. 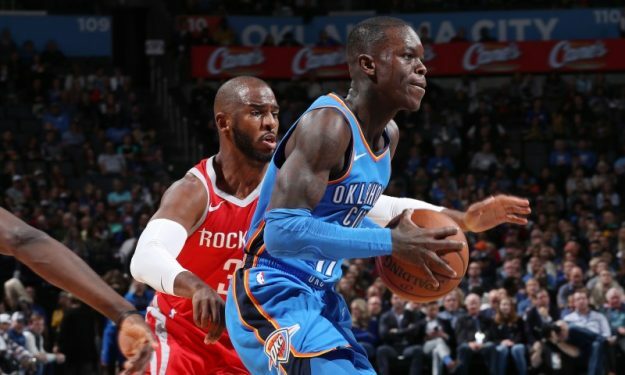 Dennis Schroder started for a second straight game and helped the Oklahoma City Thunder beat the Houston Rockets. He replaced injured Russell Westbrook in the starting five, sank 14 points and with one of his assists got a place in NBA’s Top 5 of the night. Jaylen Brown, Marcus Morris, CJ McCollum and Terrance Ferguson also appeared in the Top 5.